LETHBRIDGE, Alta. 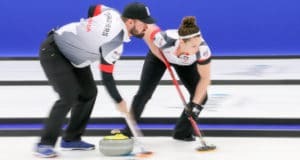 — Canada’s Joanne Courtney and Reid Carruthers were knocked from the ranks of the unbeaten on Monday night at the World Mixed Doubles Curling Championship at the ATB Centre in Lethbridge. LETHBRIDGE, Alta. 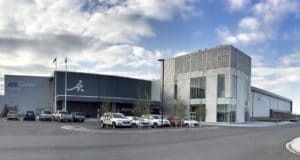 — An early morning wakeup didn’t hamper the two Canadian teams who were on the ice Monday morning at the World Mixed Doubles and World Senior Curling Championships in Lethbridge. LETHBRIDGE, Alta. — A good night’s sleep got Reid Carruthers in a better frame of mind for Team Canada’s second game Sunday at the 2017 World Mixed Doubles Curling Championship. 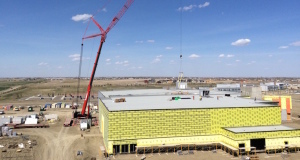 LETHBRIDGE, Alta. — Canada’s Joanne Courtney and Reid Carruthers opened the 2017 World Mixed Doubles Curling Championship on a winning note Saturday at the ATB Centre in Lethbridge, Alta. Three Canadian teams will begin their quest for gold Saturday when the 2017 World Mixed Doubles and World Senior Men’s and Women’s Curling Championships get underway at the ATB Centre in Lethbridge, Alta.